Wyong trainer Damien Lane admits seven-year-old All But Gone has been a frustrating horse at times, but can't be too harsh about a galloper that he purchased for a mere $1200. All But Gone has so far returned $174,000 on that initial investment and on Friday chases the seventh win of his career in the $32,000 Bakewell Haulage Krambach Cup (1600m) at Taree. And Lane expects the likely heavy conditions to prove ideal for the seven-year-old. 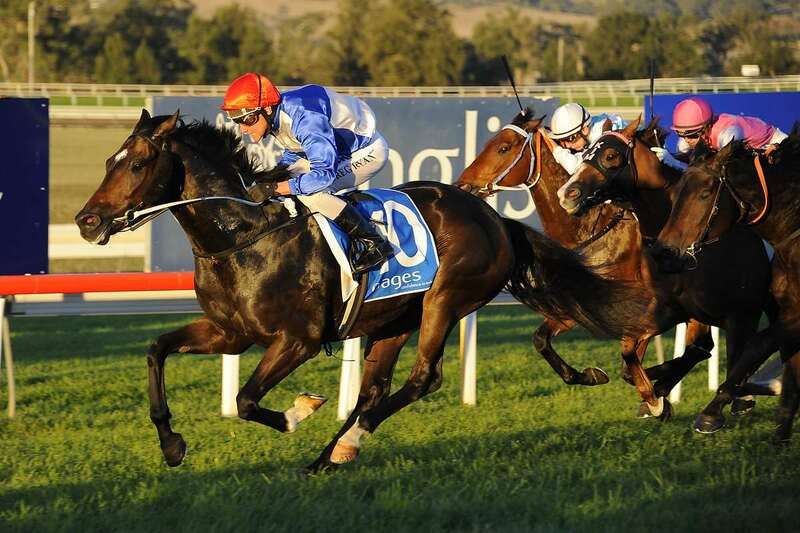 The Taree track was rated a heavy 9 on Thursday with further rain forecast. Unlike most of his rivals in Friday's Krambach Cup, All But Gone is winner on heavy tracks, winning twice and being placed another two times from six starts under those conditions. "He has been a bit frustrating - he has his share of ability but doesn't always show it," said Lane. "But he has still been a pretty good horse to us and it would be great to get another win out of him at Taree on Friday." Lane also accepted with Spinning Gold in the time-honoured Krambach Cup - set for its 135th running on Friday - but the eight-year-old is likely to be saved for a race at Wyong on Sunday after drawing the outside gate in the 11-horse field at Taree. All But Gone's form this preparation has been a bit patchy, but he did run a terrific fourth in the Coffs Harbour Cup (1600m) back in August and is coming off a last-start close second to Red Knot in the Coonamble Cup (1600m) on October 7. "The thing about him is he doesn't quite put in on dry tracks and after a few runs in a row in firm conditions that gets to be a bit of habit with him," said Lane. "But he ran very well last start (in the Coonamble Cup). The winner (Red Knot) was ridden by a 4kg-claiming apprentice and the pull in the weights just told at the end. "Although it was down as a heavy 10 at Coonamble last start, it was only heavy in patches and overall the track was probably a good 4," said Lane. "But we should get a genuine heavy track on Friday and that will be ideal for him." All But Gone, who carries the 58.5kg topweight on Friday, will be ridden by Josh Oliver. Lane said a heavy track would also be ideal for his only other Taree runner, Princess Snowy, who lines up in the Harrington Hotel Benchmark 58 Handicap (1000m). The trainer expects the daughter of Sequalo to improve on her first-up ninth to Cyclonite in a Class 2 (1000m) at Hawkesbury on September 20: "She'll love the heavy conditions and is a definite improver second-up in Friday's race," said Lane. Princess Snowy's two wins to date were on soft 6 and heavy 9 tracks in Queensland when she was previously trained in Brisbane by Chris Anderson. In-form five-year-old Sniponet looks the best chance of providing a local win in the Krambach Cup. Trained at Taree by Wayne Wilkes, Sniponet has been racing in the best form of his career, is a winner at the track and distance and has been placed at his only two heavy-track starts. Andrew Gibbons partners Sniponet who jumps from gate two. Friday's eight-race Taree program also features the $22,000 Clipsal Allan Bakewell Memorial Krambach Sprint (1250m) where Coffs Harbour mare Super Tonic looks hard to beat in the conditions at her second run back from a spell.